It is estimated that, worldwide, there are millions of cancer patients in need of palliative care. With careful planning of cancer palliative care within a comprehensive cancer control plan, a large proportion of advanced cancer patients could be relieved from their suffering and the quality of their lives could be improved significantly. 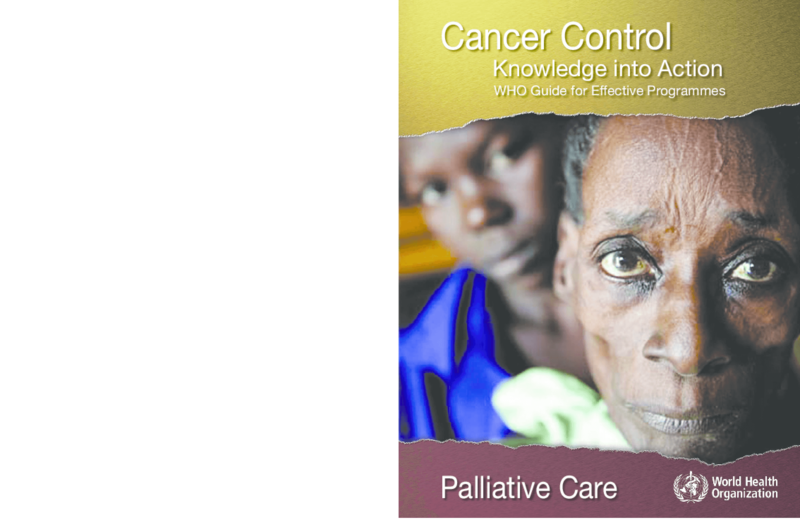 This practical guide for programme managers provides information on how to implement effective palliative care for cancer, with a particular focus on community-based care. Copyright 2007 World Health Organization. All Rights Reserved.